James F. Humber IV, O.D. Dr. Humber began working with Dr. Robert Traylor in 1997 at our original location on Third Street. He received a degree in Biochemistry and Molecular Biology from Mississippi State University, and his Doctorate of Optometry from Southern College Of Optometry. Martha Williams is our Office Manager and Coordinator.  She recently celebrated her 20th year with Clarksdale Vision Center! She started her tenure with Dr. Traylor, and has been leading the way ever since, making sure that each patient receives excellent care and service. Paige Sewell, Optician, ABOC, has been with Clarksdale Vision Center since 2011. She studied opticianry through the American Board of Opticianry and received her certification from the ABO in 2015. Paige is also certified in contact lens fitting and dispensing, as well as VEP testing. Charity studied Graphic Design at Delta State University, and Paraoptometrics through the American Optometric Association, as well as the Commission of Paraoptometrics. She extended her studies from the certification of CPO and became a CPOA in the study of Paraoptometry.